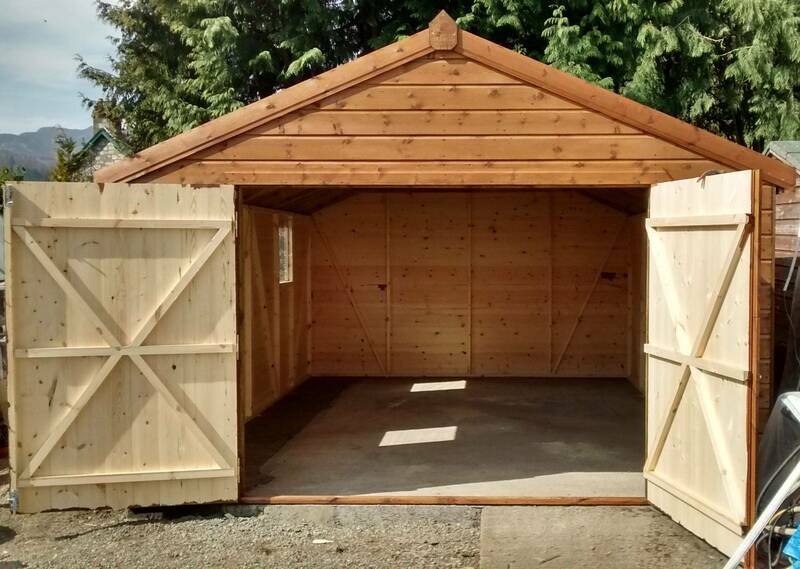 Welcome to the home of Max Timber Sheds where you’ll find all you’re looking for in Outdoor Timber Buildings. All of our buildings whether it be Standard or Bespoke are hand made by craftsmen with years of experience in the profession. 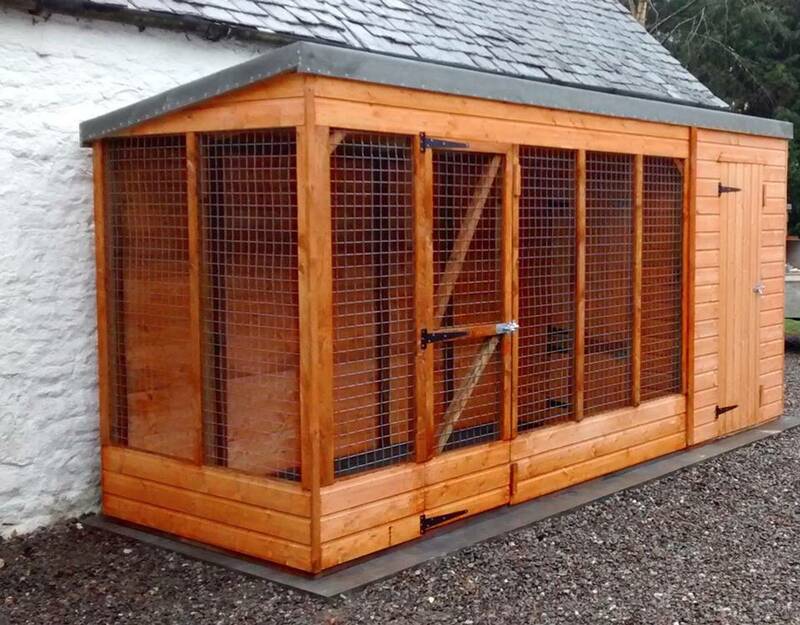 We deliver and fit all of our buildings in many areas of the Central Scotland region. 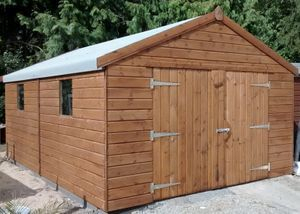 So when it comes to Sheds, it’s probably the most popular item to be found in most back gardens and allotments. After all, we all need that little bit extra storage space. Standard sheds come with either Apex or Pent style roofs. Now, what to choose? Which one will be more suitable for the garden? Which will be more useful? 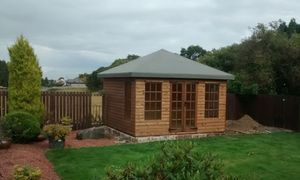 In general, an apex shed is the most popular standalone type shed which can look good anywhere in the garden, not just a corner. 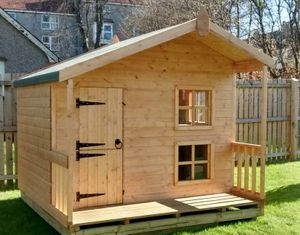 A pent shed looks good up against a fence or wall or even down the side of the house. They both offer the same usefulness. Our bespoke service means that we offer not only standard options but can custom build to your needs, for example; any size, any height, Hi-Pex roofs, reversed roofs, extra windows, wider and double doors, and even extra doors if required. Need some shelves to keep the floor space clear, we can do that too and for the bigger shed that you’d like sectioned off then we can add partition walls. There’s not much we can’t do. 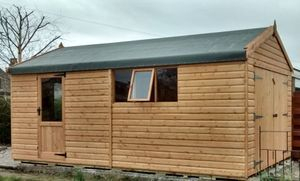 Wooden garden workshops... Ok, so a large shed for some, a man cave for others, a gym for fitness lovers or an escape retreat after a hard day’s work where you might have a bar or games room. The prospects are endless. 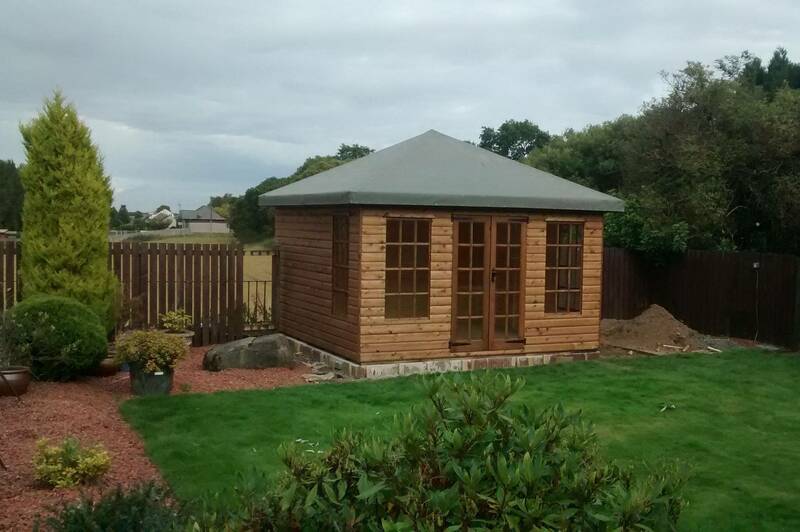 A garden summerhouse is without a doubt one of the most popular garden buildings and will enrich any garden whilst offering a place of relaxation even when the Scottish weather is at it’s worst. 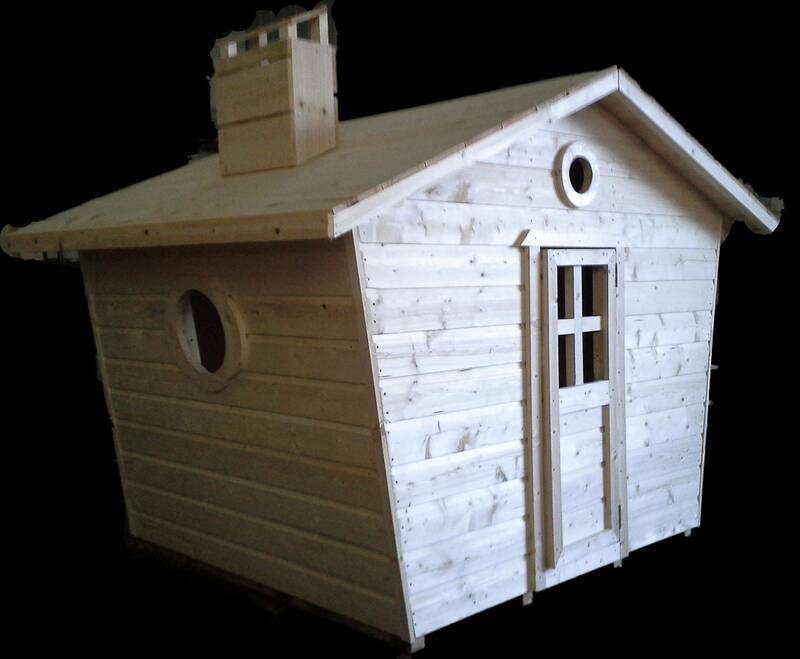 All of our summerhouses can be customized so that they suit any garden. If you have an oddly shaped layout don’t worry…. We’re here to offer advice and help you choose from the wide range available. Let’s go back in time, a bit further for some than others. Remember, when you were children? It was great to be active outdoors ‘Oh aye’. 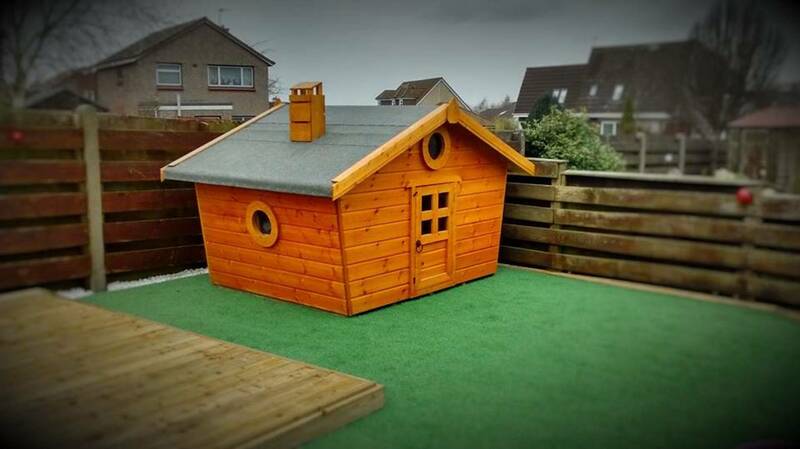 With the digital age, we are now in that’s not so much the case however with our range of playhouses the temptation and opportunities are there and no matter what the weather there’s no excuse. 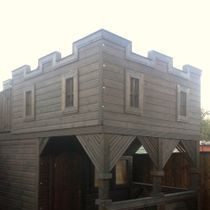 Our Playhouses are designed and built with a high standard of safety. They’re a great idea for a birthday or Christmas gift and if it’s not to be a surprise, let your child choose their favorite playhouse… watch them transform into a pirate, a princess in a castle, Pocahontas in their tepee or maybe invite friends in for afternoon tea in their cosy cottage. 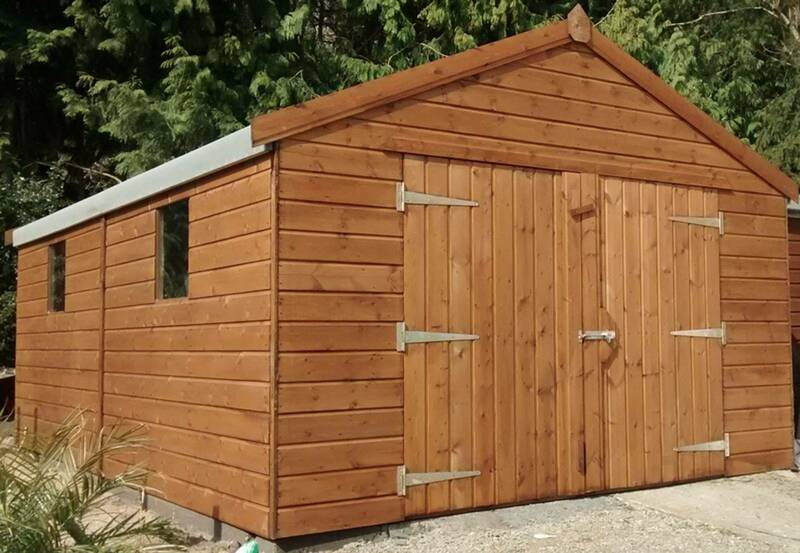 Our timber garages are made to measure so available to all car sizes. You don’t have to worry if you don’t have a standard size where the garage is being located. You can also decide what size of door you’d like, whether they should be wide, narrow, high or low or maybe you would like to have an additional side access door, no window or many windows… Everything is possible. How often have you had to search for your bin after a storm? Have you ever found your bin on your neighbours’ property or even worse, another street?! The number of bins we have nowadays can be rather unsightly. A bin store is the perfect solution to hide your bins and please your eyes. 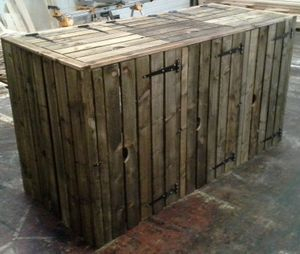 We offer a range to suit from 1 to 4 bins or more. Cladding: 12mm, 16mm Weatherboard Tongue & Groove or 19mm Premium Quality Tongue and Groove Loglap. Framing: 45mm x 38mm-standard ( other sizes are available on all products upon request ). Floor: 18mm Tongue & Groove Chipboard Flooring or 18mm Tongue & Groove Timber Flooring. Roof Material: 11mm OSB or 16mm Sarking. Treatment Can Be: Dark Oak, Forest Green or Harvest Gold. 20kg Green Mineral Roofing Felt or Ultrapol Felt (it's the toughened polyester back felt that withstands winds up to 85mph and temperatures to -15 degrees). Garages are supplied with or without ( standard ) floors. floor sizes are approx 3'' shorter each way. e.g. Slabs, Timber Frame, Concrete Bases.